Driving yourself around while on holiday is the best way to explore your surrounds. While public transport is cheap, rental cars and scooters give you more privacy, freedom and time to see more, discover more and let you wander down different roads. Researching rental companies before heading off on your holiday is recommended as it gives you options and price comparisons so you can decide before hand which company suits you best. 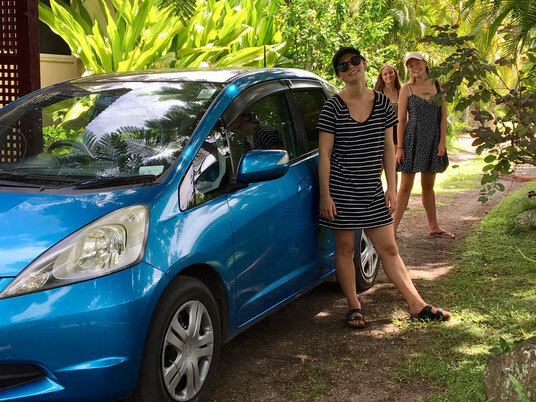 Vehicle rental is quite straight forward in Rarotonga. Some options aren’t even needed; There is no option for baby seats. Kilometre's are unlimited as the Island is so small and no trip durations. Some people base their choice on price but there are other factors to decide. -What age are the drivers? -How many passengers will you have and what size vehicle is required? -The length of time you will need the vehicle for. -Vehicle rental insurance including insurance excess. -Location of pick up and drop off. If looking at multiple rental companies, compare all factors. Where you can compare vehicle sizes, prices and all other things you need to compare and choose from. Look into all factors and ask questions to avoid paying hidden costs and things you don’t need to pay. Before you compare all of those factors, let’s look at each one so you understand what you’re comparing and know what you need. What size vehicle do you need? A scooter for 1 or 2 people, a small car or a family car? This is usually determined by the amount of passengers you’re travelling with and want to share a vehicle with. Check if vehicles can access all roads in the area and if there are restrictions for some. 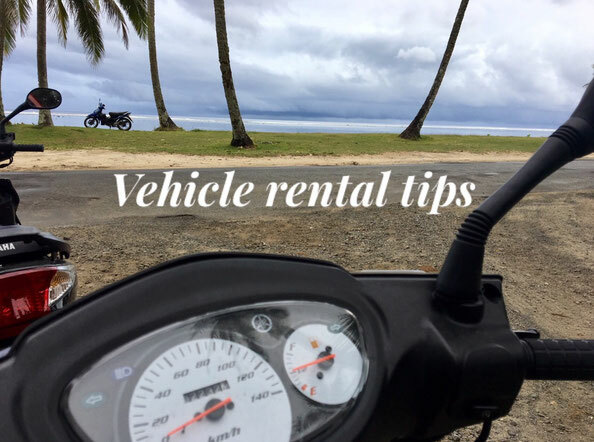 Most rental companies either don’t rent cars to drivers under 21 or 25 but others may have a surcharge to allow these drivers. Can the vehicle be picked up and dropped off at certain areas that are convenient for you. You may want to pick up a car close to your accommodation and leave it at the airport on return or vice versa. If this would suit you, look for this rental option. thousands of dollars. By paying any insurance fees you will avoid a massive potential cost. Compare what each company charges and covers for each policy. This is the amount you will agree to pay if the vehicle is stolen or damaged while in your possession. Compare the excess costs of each insurance policy. Sometimes, the age of the driver will determine the excess amount. If booking online before you go on holiday, make sure you’ve compared and considered all factors that will determine your rental cost to avoid any problems and surprise fees when you arrive to pick it up. to complete so allow time to do this if needed. ''How to get a Cook Islands license'. You need to understand and follow local road rules and driving laws or you may not be covered by the vehicle rental insurance. 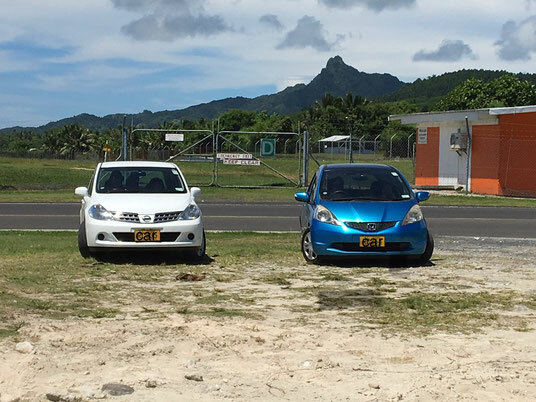 This is why holding the correct licence for your vehicle is important while visiting and driving around Rarotonga. 50 km/h is the max speed on the Island. 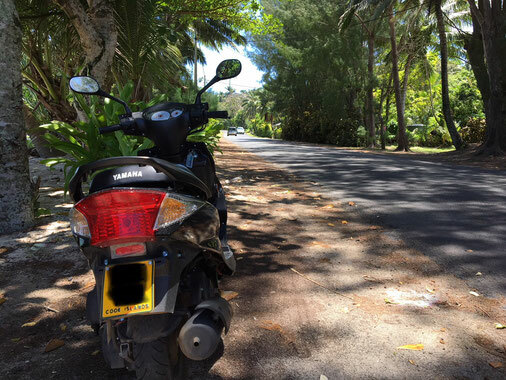 30 km/h through Avarua and Muri. 20 km/h in school zones during local school times. Check if your travel insurance policy covers any part of your rental insurance costs. Some may cover any excess costs and some may not. If you're between the age of 18-25 and ride a scooter or motor bike, you're now required by law to wear a helmet. * In Cook Islands, drive on the left hand side of the road. * Distance and speed are measured in Kilometres. 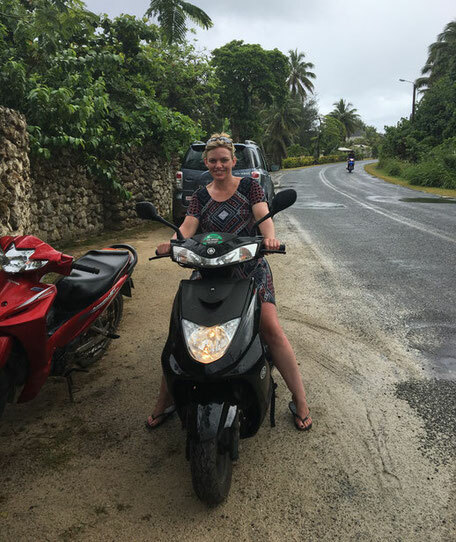 * Road rules in Rarotonga are similar to Australia and New Zealand. Research the road rules before you go. You probably won’t want to research this while on holiday. * Even though seat belts aren’t required to be worn by law, it is advised to use them for your own safety. * Baby car seats are not required to be used by law either. Small children can sit in regular seats and baby’s can be held by a passenger. * Never drive while under the influence of alcohol. An insurance policy won’t cover you if found to be in your system. * Always carry your licence when driving. Police will need to check it if you happen to be pulled over. * If you're required to pay a fine (bill) this is only payable at the police station in the form of cash. * Each person driving should check their own travel insurance company will cover the vehicle rental insurance excess if needed. * Only drive on bitumen or paved roads. Don’t drive vehicles off road or along the beach. This is not allowed. * Beware of dogs, chooks and loose gravel on the roads. *This article was written as a general guide and for information purposes. We can’t guarantee the accuracy at time of reading. We recommend you compare your needs thoroughly before you book anything. Contact our recommended company www.go-cookislands.com for more information. IF YOU HAVE ANY FURTHER RENTAL INFO FOR TRAVELERS TO CONTRIBUTE, PLEASE COMMENT BELOW TO SHARE.